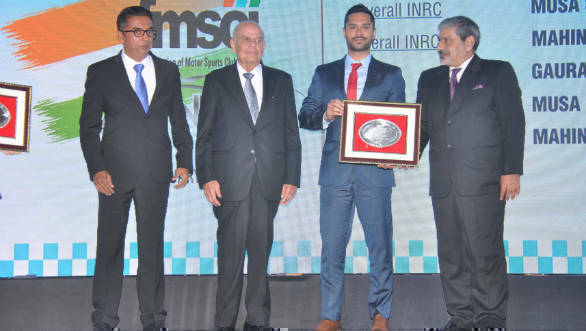 The 2018 FMSCI Annual Awards were held today, February 25, in Mumbai, felicitating members of the Indian motorsport fraternity. As many as 61 trophies were given out to winners of all the championships held over the past year. Jean Todt, the current president of the FIA and the man behind some of the most legendary championship wins in F1, WRC and endurance, was the chief guest for the occasion. Raghul Rangasamy won the 'Upcoming Motorsports Person Of The Year Award'. He had a great 2018, completing a double by winning the LGB Formula 4 title in the JK Tyre FMSCI National Racing Championship and the FF 1600 category in the MRF MMSC FMSCI Indian National Racing Championship. 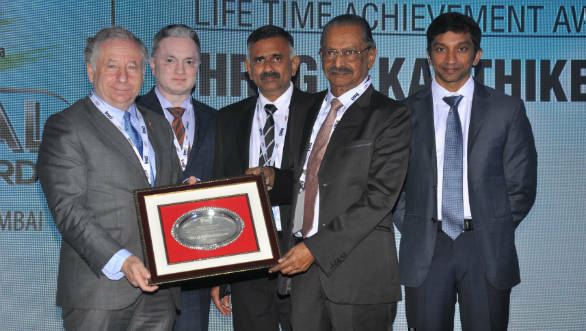 GR Karthikeyan, Narain Karthikeyan's father, was handed the Lifetime Achievement Award for his contribution to Indian motorsport in its formative years. Also felicitated were the current big stars of Indian motorsport who have made an impression in international events. 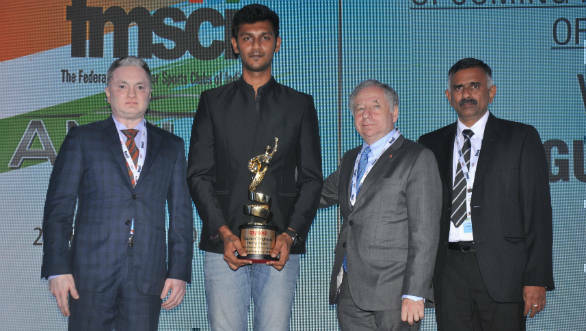 In these Special Awards, Gaurav Gill was recognised for his participation in the WRC2. Among others, Armaan Ebrahim (podium finish at the Lamborghini Trofeo series), Anindith Reddy Konda (podium at Lamborghini Trofeo Series), Amiitrajit Ghosh and Ashwin Naik (winners at ERC 2 Acropolis Rally) and Malswandawngliana (2nd in Asia Cup of Road Racing India round) received these awards. 'Outstanding Women in Motorsport' trophies were given to leading female drivers of the country, including Mira Erda, Sneha Sharma and Shriya Lohia. Overall winners in each championship were all felicitated. Notable winners were Karthik Tharani for his Euro JK18 title win and TVS Racing's Jagan Kumar for his MRF MMSC FMSCI Indian National Motorcycle Racing Championship win in the Super Sport Indian up to 165cc category. Addressing the gathering, J Prithiviraj, the current FMSCI president said, "We are entering the golden period of Indian motorsports. We have events in virtually all the disciplines possible and our boys and girls are competing and winning at the world level, like never before". He added, "We are going to introduce many other exciting verticals very soon."